Buying Credit Insurance From a Car Dealership | The Consumer Law Group, P.C. As car sales slumped in the mid-2000s, manufacturers and dealers began looking for new ways to turn a profit. Salespeople began pushing add-on features and services and finance departments began offering new products, including credit insurance. While it is not illegal to offer—or even “push”—these additional products and services, when dealerships do not inform you of every item you are purchasing and what it costs, they are committing fraud. Some Virginia car dealership are even requiring customers with poor credit to buy credit insurance from them, which is against federal law. Credit life insurance. This policy pays all or part of your loan if you die before the loan is paid off. Credit disability insurance. If you become ill or injured and can’t work, this policy—also known as accident and health insurance—will make payments until you are able to work. Involuntary unemployment insurance. If you become unemployed through no fault of your own, this type of credit insurance will make your loan payments until you get another job. 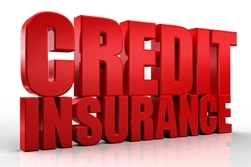 Credit property insurance. This policy protects personal property used to secure the loan if destroyed by events like theft, accident, or natural disasters. While it may seem that purchasing some form of credit insurance is a good idea, you must consider the cost of the policy, fully understand what it covers, and be aware that, if you must finance the cost of premium along with the car loan, you will pay interest rates of upwards of 24 percent. For many consumers, it does not pay to purchase credit insurance on a car loan. When financing your loan through the dealership, pay attention to the details. Some dealers will include a credit insurance policy in the terms of the loan without telling you. Others will not approve your loan unless you agree to purchase the insurance. Both of these practices violate federal Truth in Lending laws and are considered fraud. If you are the victim of one of these schemes, contact the auto fraud attorneys at The Consumer Law Group today.